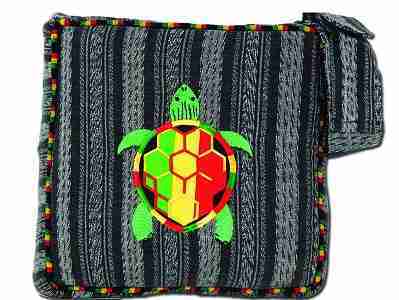 This Terrapin shoulder bag comes in Rasta colors appliqued and embroidered on hand-woven cotton. This bag measures approximately 11" x 11". This bag features a hidden pocket inside and a pocket on the shoulder strap.